The question isn’t which type of RV is best, but which is best for you? When we first looked at buying an RV I made the common mistake of thinking that the different “Classes” of RVs meant that you had to have a specific type of drivers license. Luckily because of the internet I was able to do some research and I learned what they were before I headed to the DMV to upgrade my drivers license haha. You DO NOT need a special license to drive an RV. Below are the different types of RVs so you aren’t confused like I was. One important thing to note, these are just RVs. There are other fantastic options in the form of Travel Trailers, 5th wheels and Toy Haulers that we will be highlighting in another blog post. 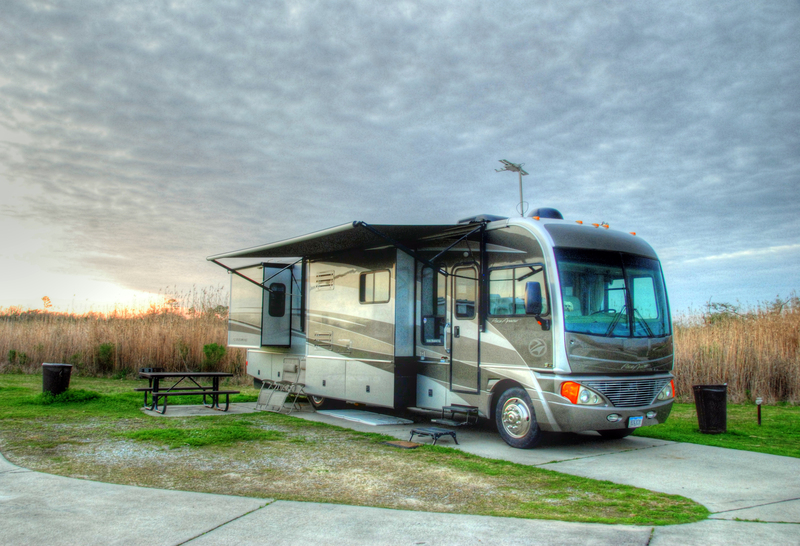 With any type of RV there are many variations in size, features and cost. These are generalizations of the different types. Class A: The big, boxy RVs that look similar to a bus are Class A’s. Owning one of these is like owning a very nice home, except you can take it to scenic locations. These are the most common among Full Time RVers. Because of their size, once you get to camp you’re pretty much stuck. Most Class A RVers tow a car behind for access to local towns and adventures. 1-4 slideouts which can expand up to 14 feet wide. Large flat screens with bumping surround sound. Class B: These are the compact motorhomes that are vans. These have very specific benefits and are great for the solo or couple travelers that want to head into cities or places that a large RV can’t. These are fantastic for “Stealth” camping because you can’t tell if it’s just a van or if someone is camping. I was surprised to find out that per square foot these actually cost more than a Class C. The downside is it’s a tight living space and doesn’t offer the amenities of the other types of RVs. Class C: A Class C has the truck front end with the living section in the back. Generally the size ranges from low 20 ft to around 35 ft. These are great for giving you a comfortable living space with some great amenities. You won’t have all the bells and whistles as the Class A such as washer/dryer, heated ceramic tile floors, etc but the cost will be lower. Storage space is plentiful but by no means excessive. These typically have slideouts and offer a fairly comfortable living space for being so mobile. Though these are smaller, they typically can still sleep up to 6 people and are fantastic for weekend warriors or for someone who is interested in getting into smaller, secluded and more enjoyable campgrounds with the ability to still fit the entire family. Summary: if you’re looking for stealth camping go with a Class B. If you need space and amenities the Class A is for you. If you want a mix between the two go with a Class C. This is over simplified however the best way to make your decision is to test them out yourself.